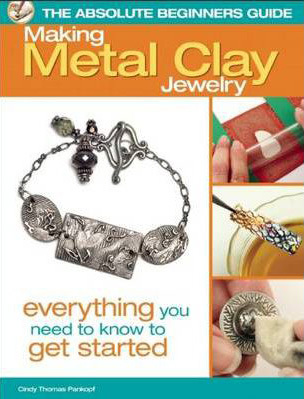 Anyone who has ever wanted to give metal clay a try will enjoy this third book in the popular Absolute Beginners Guide series. The first book in this series, Stringing Beaded Jewelry, won the 2010 IPPY award. Making Metal Clay Jewelry by Cindy Thomas Pankopf, follows the same signature format as its predecessors, positioning readers to learn by doing as they take on simple metal clay jewelry projects that gradually increase in difficulty level. Now is a perfect time to introduce readers to metal clay with this signature series that focuses on positive results.